The easy answer is yes, they can. 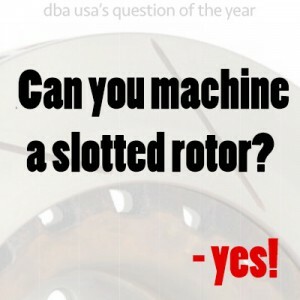 Somewhere along the way, someone started saying that slotted rotors couldn’t be turned. This incorrect statement has become fact, or at least urban legend, so we wanted to try to clear up this misconception. If done properly, and with care, slotted and drilled rotors can be machined. 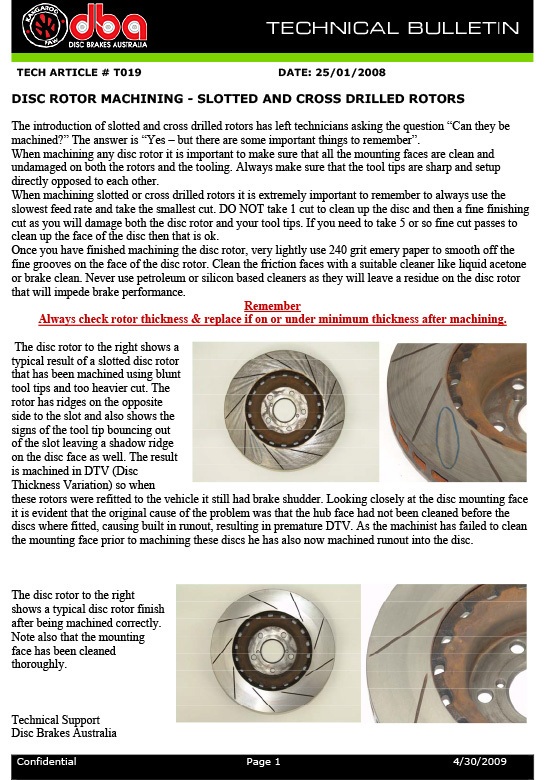 Not all warped, worn or damaged rotors can be brought back from the dead, but more often than not, a proper machining job can breathe new life to your rotors and should be considered a viable alternative to replacement rotors in some cases.